Ketogenic diet success. That was my number one goal for the New Year. I had read about the benefits of a high fat/low carb diet in a book by Gary Taubes, entitled Why We Get Fat. The results sounded compelling. Not only could I lose weight, but I could improve my blood chemistry at the same time. My problem was, I had miserably failed at low carb diets before. I could do them for a few days, but the lack of natural food replacements meant I had little or no variety. I know what you are saying. How can you lose weight and get better blood results with a high-fat diet? Sounds impossible. As someone who has had high cholesterol for years, my ears perked up. I’ve always been told to stay on a low-fat diet. Keep to the food pyramid, my doctor would say. Take this statin pill and maintain the fat to less than 20% of your calories. Unfortunately, the lower the fat my diet was, the higher my cholesterol and triglycerides would go. Replacing fat with sugar and processed carbs over the years didn’t help my numbers except for my weight. That number kept going up and up. 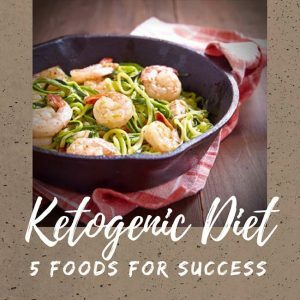 In December, as I was preparing to do this diet for the New Year, I knew that better low carb food choices would be needed if I was going to have any inkling of success with this. I looked online and then at the supermarket. My number one problem was bread. No one seemed to offer a suitable low carb alternative that tasted good. My number two challenge was cookies and candy. I had become a sugar addict after the low fat craze introduced me to Snack Wells. Those little packs of goodness added many pounds to my waist. Each cookie had 30 carbs. No way would those find entrance to a diet that limited carbs to 20 grams a day.